If you are planning on using some essential oils, then you should also familiarize yourself with using some carrier oils. Carrier oils are usually made of the fat of plants. They are oily in texture and can dilute essential oils when you mix it with them. 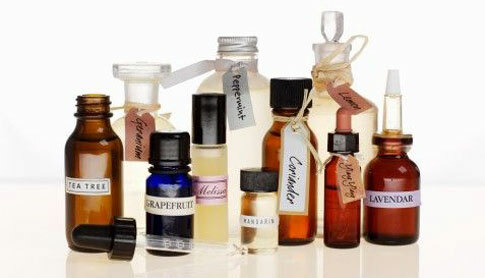 If you plan on practicing on aromatherapy, then you should also stock on some carrier oils. After all, you will not be able to use your essential oils without them. They are called as carrier oils because they transfer the oils to the skin safely. If you fail to use them, you may experience some irritation or sensitization from essential oils. But even if you are going to use these with essential oils, it is still better to do a patch test prior to application. This will ensure that the oil is really safe to apply to your skin. But before you can use these oils, you should first get to know them. Sometimes, you may not need to buy these oils. Sometimes, they can be mixed in different substances such as creams and lotions. You can still use these and mix your essential oils with them. However, it is always best to read up on the different effects of these carrier oils. They differ in terms of their smell and they can also affect how long your oil is going to last. It is also important to know that carrier oils are not the same as essential oils. Essential oils are created through processing the leaves, flowers and roots of the plant in order to extract their essence. However, carrier oils are pressed from seeds of the plant. These are also oily in texture in contrast to essential oils that have a clear, liquid texture. Also, carrier oils need to be maintained. Its life can vary from oil to oil. Essential oils are different. They do not ‘expire’ like carrier oils do. There are limited types of oils that are used in aromatherapy. It is best to familiarize yourself with this. Generally, vegetable based oils are used as Carrier oils. This can be sweet almond oil, peanut oil, olive oil, sesame oil, jojoba oil and others. They may have a faint aroma in them but it is still okay even if you plan to mix some essential oils with them. Just remember that not all oils are used for this purpose. There are oils such as emu oil and fish oil that are not used for this purpose. With this, it may be best to simply stick with vegetable based oils. Generally, you should look for fresh Carrier oils. You can usually find these sitting on the shelf of your local grocery store. Be sure to ask the keeper about how long the oil has been sitting there. The quality of the oil after all is affected by the time. You can also buy your oils from aromatherapy shops. They will usually supply these in smaller amounts and they will cost cheaper. It may also be best to look for ‘virgin’ oils that have no additives and did not undergo any process. It is very important to have some carrier oils if you plan to use your essential oils successfully. True enough, essential oils and Carrier oils cannot live without each other.